Transformation is a strange word. It denotes that something has majorly changed, usually for the better, resulting in a brand new experience. When asking whether motorhome cushions can transform a leisure vehicle however, it’s a slightly different phenomenon. It all likelihood, when your vehicle was brand new, it exuberated adventure and freedom. Unfortunately, just like most vehicles, motorhomes can begin to dwindle in quality. Owners are forever seeking a way to recapture that sense of excitement and many look towards the restoration of motorhome cushions to achieve it. The most obvious place to start it to examine the filling or foam of upholstery. You’ve probably lost count of the number of times you or other people have sat on your seats. All of this can add up to an eventual decline of upholstery foam as filling begins to flatten with the pressure. There’s not too much you can do to combat this but ultimately your seating may become less comfortable as the support that was previously in place is slightly reduced. 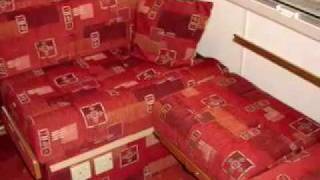 Restoring motorhome cushions to their original shape, size and comfort is easier than you may think. We are able to refill cushions very quickly. All you have to do is send them to us and we restore the foam inside and send you your revived product, ready to take the weight of the world. As well as motorhomes cushions, you may feel that a change of design add a bigger sense of transformation. There are hundreds of designs, styles and materials that can revamp the overall look of your vehicle and help you relive the glory days that you had on the road. Whether you want a new look, or just want to rebuild the original appearance that you had, the Regal Furnishing team can have your motorhome cushions ready in just one day. Motorhome cushions can be wonderfully complemented by scatter cushions. With our huge range of materials for your upholstery, you’re almost guaranteed to find something that will look incredible with any accessories you have in mind. The two together can really change the aesthetic appeal of your vehicle and give an appearance that matches, if not beats, the original look of your vehicle. All of our (and your) motorhome cushions are lovingly bought back to life by our expert team who take time and care in ensuring that your upholstery is produced to high quality standards. Cushions are long lasting and strong enough to accommodate intended weight and persons. 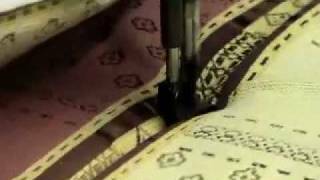 Further information is available here, on our upholstery fabrics page. With your choice of 40 density foam in firm or medium firm, your new seating will be comfortable as well as practical. What’s more, when you choose Regal Furnishing for you leisure vehicle upholstery, we can provide a complimentary overnight hook-up to get prepared for your services to be carried out early the next day. 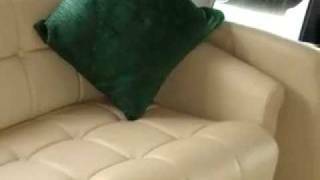 Motorhome cushions are a big part of any portable home vehicle. They are essentially the equivalent to your living room sofa and as such should be looked after and replaced when necessary, especially if you use your vehicle to entertain. They are also capable of giving you a proud sense of ownership, especially when you can comfortably relax after a long day of hiking or games in the woods.